Mike Garza Promoted to Blue Belt! 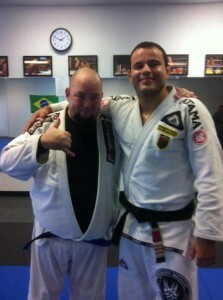 After two plus years of dedication and hard work, Mike Garza was bestowed upon him the rank of Blue Belt. At our most recent seminar, Crosley and Jeff promoted Mike in front of many of his training partners and friends. Mike has stayed the course despite a few injuries that kept him off the mat for a few weeks here and there. Congratulations Mike! All of us at Synergy are very proud of your accomplishment. We all wish you continued good health and success on your journey. This past weekend, Jeff Correia, our owner and head instructor was invited to teach Brazilian Jiu-Jitsu at our local BT Collins Army Reserve Center. There were over thirty participants, most of them being drill sergeants. Jeff was charged with sharpening their ground skills. These men and women were serious about getting better because they kept Jeff there for nearly 4 hours! I don’t think he had a choice. Way to go Jeff! 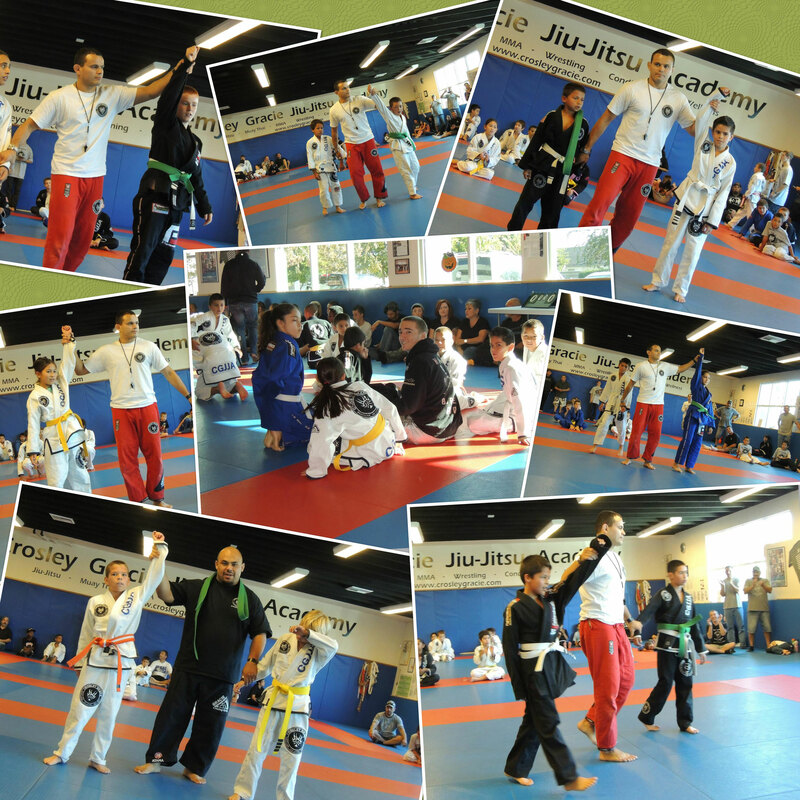 This past Saturday eleven of our kids made the two plus hour drive to Crosley’s academy to show their skills. And it was a sight to see! Each of our kids had at least one victory and got to experience what it’s like to get their arm raised. We were very proud of their courage, skill, and determination. It’s not easy to compete and we certainly don’t push competing, but to test yourself in unfamiliar surroundings is a way to forge confidence. There is never any losing at these tournaments; you either win or you learn. Our kids won and they learned! Crosley is making his biannual trip to our academy on November 17th. 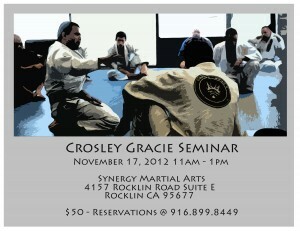 The seminar will be approximately 2 hours in length (11 am – 1pm). Make sure you reserve your spot with Jeff. Call him at 916.899.8449 with any questions that you might have! Our students and our parents of our students spoke up and voted Synergy Martial Arts the best Martial Arts school in the Rocklin Area. 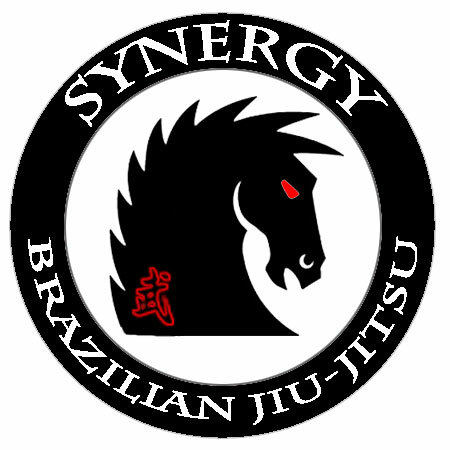 Synergy is made up of our Brazilian Jiu-Jitsu program as well as our kids Kenpo Karate program. Come check us out and see why we are the Best of the Best! What is Best of the Best? Best of the Best is an annual reader’s choice award contest conducted by the Rocklin Placer Herald. How are the winners chosen? Readers choose their favorite businesses across many different categories. How accurate is the vote? Only one vote per person is allowed (online or paper entry) to eliminate ballot stuffing.